It took me a couple years before I conceded to planting Swiss chard in our garden. Friends raved about it and cooked with it. I thought it was good, but I also thought it was one of those things that people hyped-up because it was different. I didn't want to jump on the Swiss chard band wagon early and feel like a sucker if I was disappointed. I'm the type that if you rave about something too much, I'm apt to write it off forever just because of your raving. I think on things a bit and make my own decision and I don't like being pushed into those decisions. Are we still talking about chard? There are different varieties of Swiss Chard. Some are colored, some are all green. 1) Cooked chard can be used in place of cooked spinach in every way I can imagine (I don't think many people eat it raw, although it's perfectly safe to). Once you cut out the stem, it cooks up the very same way as spinach and when added to dishes like quiche or stuffed shells or veggie burrito bake, the taste difference is negligible. 2) It has one up on spinach because it grows and can be harvested ALL SUMMER LONG, unlike spinach which (at least in our parts) is only worth growing in spring and fall. 3) It can be frozen blanched or raw just like spinach, adding to your store of greens and possibly keeping you from contracting scurvy come winter. ~ all for only 35 calories? 4) Not only did it make the book, *The 150 Healthiest Foods on Earth , but it also received the coveted star in the book which is reserved only for the foods most packed with nutritional value. Keep in mind I'm not trying to convince you of anything. Heaven forbid I would actually scare you away from chard. If you're up for trying it, go to your local farmer's market and buy yourself a bunch. Wash it, trim out the stalks, saute the leaves in a little bit of water until it wilts like spinach (like spinach, don't overcook it, causing it to turn brown) and use it in place of cooked spinach in your favorite dish. If you're feeling a tad more brazen, give this dish a try. It's our favorite way to eat Swiss chard on it's own. In a large frying pan with a lid, saute onion in 2 tsp. olive oil until softened. 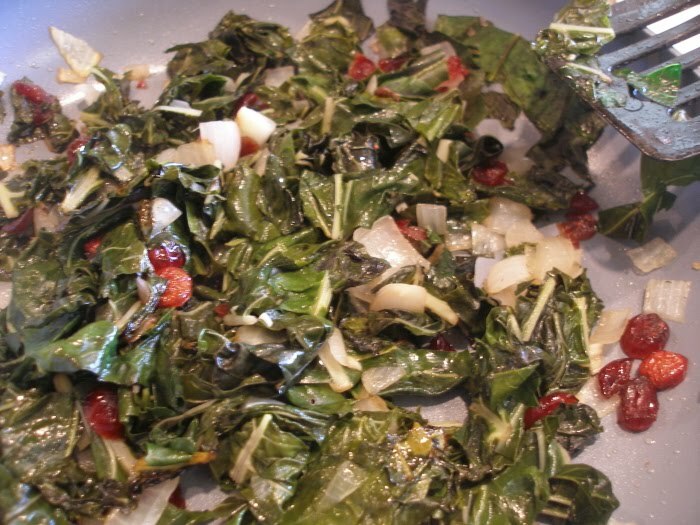 Add raisins, garlic, vinegar and sugar, along with the chard stems. Cover and cook for about 5 minutes. Place the sliced chard leaves on top (do not stir in), cover and cook another 2-3 minutes or until the leaves are wilted but not brown. Remove from heat and stir well to combine. Season with salt and pepper. You know, I have to agree with your #1 assesment as I think this might be the ultimate spinach substitute...we use it for everything. We have grown it for years now but this is the first year, possibly because we grew a lot less, that I have really begun to appreciate its various culinary uses. It helps that we were not plagued with leaf miners this season too...fingers crossed. I LOVE chard! I've cooked almost all the chard recipes from Simply in Season (and subbed for spinach and sometimes kale for some of them too). I'm also a fan of Jonny Bowden - thanks for the reminder to get out my 150 healthiest foods book! It's been awhile. This year's chard is just about ready to start harvesting. Another thing I love about it is the fact that when you cut it, it will grow over and over - giving many harvests off each plant. One of our favorite dishes with chard is one from an Israeli cookbook; it is mixed into these meatball type patties. The combined flavors are wonderful. Do you know I've never eaten chard? Probably the reason I've not grown it either! I say I want to...becuase it's so gorgeous. But now I think I will...it reminds me a bit of kale and could be prepared the same way. As a matter of fact..I did prepare kale in a similar way as I added dried cranberries and steamed it in a bit of chicken broth. And I have to say...I am just like you in that if people tell me something is amazing...I turn the other way. That's why I'm always late to get the latest "thing"...if I ever DO get it! I'm the same way. If something is pushed at me and raved over, I shut down and vow to myself to never try what it is. I have never heard of Swiss Chard before, but that pink stalk is intriguing. I'll have to look closer the next time I go to the farmer's market or the grocery store since there isn't anything you have recommended I have disliked! funny. i too was scared of this vegi - at this farm we go to, the owner cooks a delicious batch...but i can't get it right. i am definitely gonna try this recipe. My husband just made Swiss chard empanadas from the Foodnetwork website. They were amazing! Next time we get a big batch of chard we are going to make the empanadas and freeze some for a later meal! Do you think chard could be planted at this date? Keep in mind that my season here is a couple of weeks ahead of yours, from what you have talked about coming ripe at certain times (we currently have a mountain of tomatoes getting ripe!!) I need something to plant in the spots that my bush beans are vacating now . . . and this could (?) be on the list! Let me know what you think! 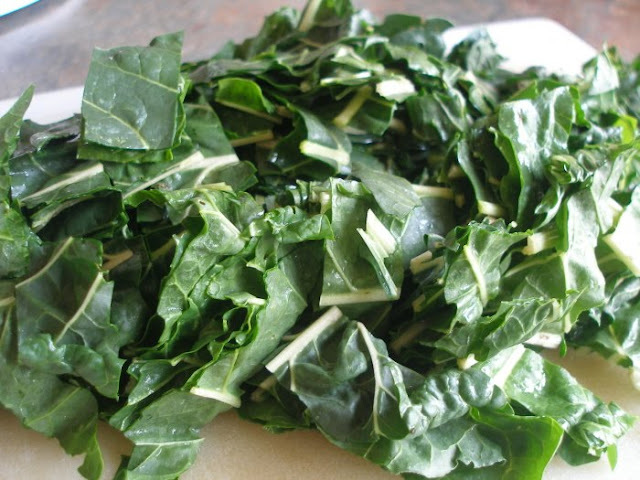 My family loves greens and I agree: Swiss chard is one of the most versatile! I've cooked through all the chard recipes in Simply in Season (we especially love Chard Cheese bake and even eat it for breakfast sometimes). I use the stems too - I just start them steaming before I throw in the greens. Patty R, I think you should give it a try! I looked it up and you should be able to start harvesting 4-6 weeks after planting. 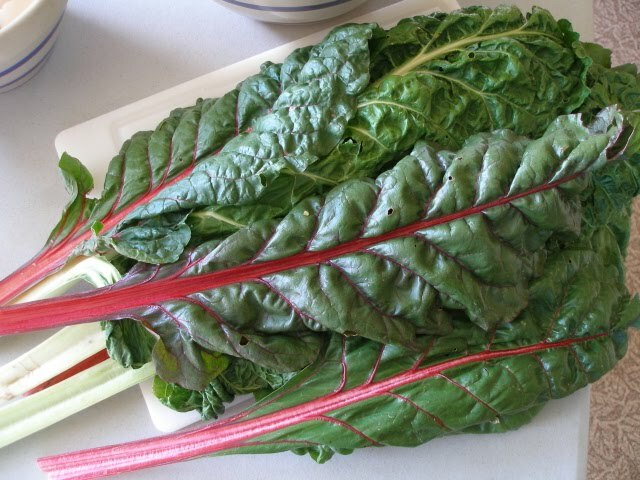 Chard handles light frost, so you should still have plenty of time to enjoy it:-). Try Kale for the cooler weather. It is so wonderful. We also plant rainbow chard here, from time to time I pop it in planters and give it to little kids as a "COOL RAINBOW" veg and they will eat it. Awesome post on the benevolent chard...we grow 5 different varieties in our greenhouse, and manage to keep a couple of beds going all winter long...it is our staple green, year round. It would only take a modest, home fashioned cold frame to grow right through most winters...There are so many great things that will grow through the winter with just a little protection, such blessed provision...ahhh! I love chard. I'm going to try growing it during the winter under hoop houses. We'll see how it goes. Thank you for sharing this recipe! I've tried to cook chard a couple times before, with NO success. I had given up on the poor veggie :(. But I was at a farmer's market the other day and just couldn't resist the gorgeous multi-colored chard they had for sale (yes, it's January, but I'm in California). I went straight to your blog because I knew you'd have the perfect recipe for me. This was so good! Even got husband approval, which is a pretty big deal when it comes to leafy greens!